We also offer (CIPC) company registration packages and we have a variety of packages to choose from. If you are looking at registering a company and get all the relevant added features with it, then you do not need to look any further. We have seen the need from our clients to assist them with registering a company and setting up the tax number, bank account etc and that is why we decided to create various packages that you can choose from. 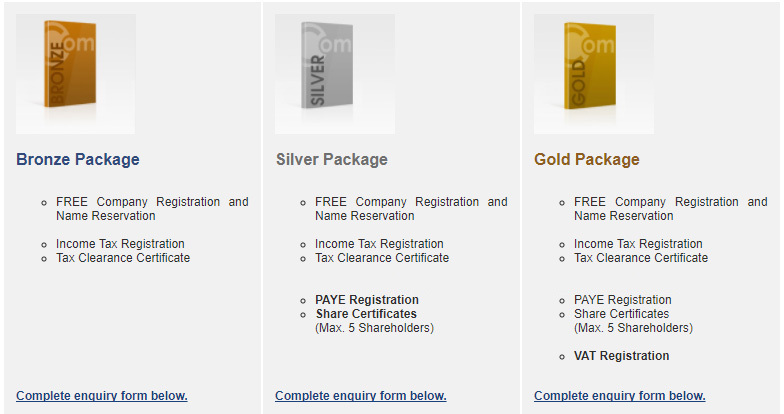 Purchase one of the following packages and get a company registration absolutely FREE.